Dexter is an experienced leader with a proven track record in education. Under his leadership Ninestiles School was consistently judged outstanding by Ofsted and recognized as one of the country’s most innovative schools. Dexter has worked with many schools across the country and was also Chief Executive of the Hastings Federation of Schools working on the regeneration of Hastings with East Sussex County Council. He has presented on leadership and organizational change at many conferences nationally and been a keynote speaker at conferences in Boston, Singapore and Cape Town. Dexter was appointed in 2004 by the Home Secretary to be a Commissioner for the Commission for Racial Equality (CRE) and held this post until 2008. In 2004 he was knighted for services to education. 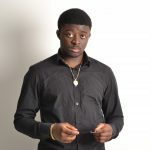 Cliff has worked in further education colleges throughout his career, beginning in Essex before moving to live in Birmingham and taking up posts in colleges in Solihull and Wolverhampton. His most recent post was Principal of a college in Surrey. Teaching English, media studies and related subjects for the first half of his career, Cliff moved into senior management roles in the mid 90s. Cliff is delighted to join the Board of BMet and he is keen to work with fellow governors, students and staff to ensure that BMet achieves its ambitions and continues to be a major player in learning and skills in Birmingham and the wider region. Prue Huddleston is Emeritus Professor and formerly Director of the Centre for Education and Industry, at the University of Warwick; she has a particular interest in the 14-19 curriculum, focusing on vocational education and qualifications and work-related learning; she has published widely on vocational learning and applied pedagogy. Before joining the University of Warwick she worked for many years within the FE sector, as a teacher and manager, also within community and outreach education. She has been involved in postgraduate teacher training (FE and secondary) for over 20 years. She has run programmes of professional development for teachers, trainers and school/college managers as well as for Ofsted (formerly ALI) and Ofqual. She has completed research and evaluation contracts for the Department for Education, Learning and Skills Improvement Service, Qualifications and Curriculum Development Agency, European Commission and British Council. Her international work includes projects in: China, Hungary, Sweden, Latvia, South Africa, Israel, Spain and Egypt. She is a member of AQA Research Committee; a member of OCR Qualifications Committee; a member of City and Guilds Quality and Standards Committee; a member of Ofqual Standards Advisory Group and on the Editorial Board of the Journal of Vocational Education and Training. She is Special Advisor to the Education and Employers Taskforce and acts as an Assessment Specialist for Ofqual. Following work in industry before her children were born, Veronica began a new career with Birmingham City Council teaching and coordinating Adult Basic Education in the city and later as a member of the team who delivered teacher training across the adult and further education sectors. As a moderator for the City and Guilds awarding organisation she was part of a team (based in Matthew Boulton College’s Sherlock Street building) who delivered programmes of personal and professional development for women across the further education sector. In the early 1990s, Veronica transferred to Economic Development with responsibility for improving basic education provision in government funded programmes across the newly incorporated college infrastructure. On becoming Head of Economic Strategy in 1999, her role encompassed a range of responsibilities including producing the council’s annual Economic Development Programme, Strategy and Policy documents and developing major bids for government and European funding. She was also responsible for facilitating strategic partnerships for the Birmingham Economic Development Partnership (BEDP). Although recently retired, she has maintained an interest in lifelong learning and economic policy. 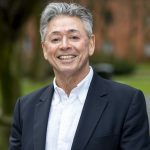 Professor Keith Horton is Pro Vice-Chancellor and Executive Dean at Birmingham City University, where, amongst other responsibilities, he leads the Faculty of Business, Law and Social Sciences. After several years spent as a police officer, higher education offered Keith the chance to change direction, and after studying in the USA as well as the UK he embarked on a career as an academic. He has worked at Sheffield Hallam University, Edinburgh Napier University, where he has spent the majority of his career, and most recently at the University of Derby, as a Dean of a Faculty. He joined BCU in January 2015. Keith is a passionate advocate of education as a vehicle to transform lives, and believes firmly in the role that further and higher education can play in helping students to explore and secure opportunities that they may not otherwise have considered. This is, he believes, partly achieved through maintaining close ties between educational providers, business and the communities in which they operate. Hence, Keith has served, and does serve, on the board of several organisations, through which he is keen to strengthen such relationships. A keen hill walker and cyclist, he remains optimistic that his dream of conquering the major Tour de France climbs is not yet dead. Michele joined the Corporation in October 2016. She is a senior officer in the police service and has considerable experience gained both domestically and internationally in policing and leadership over a 30 year career. In her current role Michele is the executive lead for a number of large five year change delivery programmes and has responsibility for community policing across a large metropolitan area leading on thematic areas with emphasis on prevention and intervention. 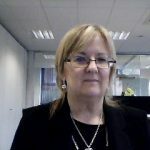 Michele also has experience of mentoring and talent management and has previously held leadership roles in organisational policy, and planning and performance. Michele is married with three children and in her spare time she enjoys travel and experiencing different cultures. Amardeep Gill is a partner and Head of the Birmingham office at international law firm, Trowers & Hamlins. With a career spanning 15 years, Amardeep is nationally recognised as a specialist in advising clients on commercial joint ventures, outsourcing, strategic partnerships and large scale public sector infrastructure and service contracts. 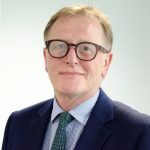 In addition to his role at Birmingham Metropolitan College, he is currently a board member of the Colmore Business District and a governor at an all-through school in Birmingham. Amardeep has advised on complex large scale projects across a range of sectors including education, regeneration, outsourcing, leisure, aviation and housing. He is also actively involved in the Smart Cities agenda and assisting clients on the impact of the devolution agreements currently being agreed. 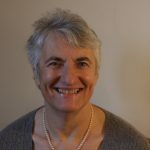 Hilary Smyth-Allen was appointed Executive Director for BPS Birmingham in 2014, having been an active member of BPS Birmingham Future for over 10 years. She was formerly Director in the Environment business line at global construction consultancy AECOM, during which time Hilary won Birmingham Young Professional of the Year in 2011. During her year as BYPY, Hilary developed and led the Birmingham Future Commission project, which was a joint venture with Warwick Business School investigating the attraction and retention of talent to Birmingham for the BPS sector. This important strategic document continues to inform and drive BPS Birmingham’s work around skills and talent for the city region. Aside from BPS Birmingham, Hilary continues to practice as a Land Remediation Relief tax consultant for The Fiscal Incentives Group. She is also the Chair of core steering group for the lottery funded “TalentMatch” youth unemployment programme. Hilary is also a board director of CL:AIRE, a charity promoting the sustainable use of land and soils and recently became an independent Governor for Birmingham Metropolitan College. Simon is a partner of Deloitte LLP, where he sits in the Financial Advisory department advising financial services companies on mergers and acquisitions. He is a Fellow of the Institute of Chartered Accountants and member of the Chartered Institute of Securities and Investments. In his twenty year long career he has worked and lived in London, Frankfurt, Berlin and Munich before returning to the Midlands in 2011. He now lives in Solihull and his interests outside work centre around his large family. Dan is a co-founder of Impact Hub Birmingham, a network of citizens, makers, doers, entrepreneurs, activists and dreamers committed to building a better Birmingham and better world. Powered by a 6,000 sq. ft. collaborative workshop in the heart of Birmingham, the Impact Hub is an engine for passion, learning and outcomes where together, the community work to build a better, more fair city. Impact Hub Birmingham is part of a global association of more than 80 communities around the world in over 70 cities, with over 15,000 members all with a shared focus on creating positive impact. Alongside members of the Impact Hub community Dan has helped bring a range of citizen-led, open sourced events and projects to the city including TEDxBrum, OPN Project Nights and #RadicalChildcare. Within Impact Hub Birmingham Dan leads on partnerships, strategic relationships and fundraising. Angela has lived in the midlands for most of her life and worked in education for over 40 years. After teaching in schools in her early career, she moved into the Further Education sector. In 1988 she established and led The Centre for Learning Development, based at Solihull College, which had a key role in placing learning at the heart of what colleges do. Three seminal national conferences entitled “Enhancing the Quality of Learning” were organised by The Centre and provided a platform from which many in the FE sector were stimulated to develop learner centred approaches. From 1995 to 2002 she was Vice Principal responsible for curriculum and quality. Since 2002 Angela has worked as a consultant with over 100 organisations, mainly colleges, but also community and voluntary organisations and work-based learning providers. Her work centres on helping organisations improve the quality of teaching and learning through a number of innovative strategies. Professional Dialogue, that is now used by many across the education sector as a whole originated in the work by Angela and her team at The Centre for Learning Development. 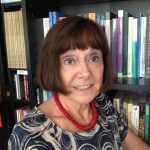 Her work is referenced in a number of publications; also articles on FE written by Angela have been published in the Education Guardian. Iqbal is a barrister practicing commercial law and a member of St Philips Chambers in Birmingham. 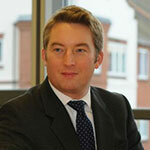 He completed his A Levels at Josiah Mason College and graduated from the University of Warwick in 2005. He studied in Japan and then London, commencing practice in 2008. Iqbal is currently completing a Masters in Commercial Law at the University of Birmingham. 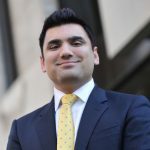 Iqbal has considerable experience in commercial, property and insolvency litigation; acting for solicitors and a wide range of clients, including government, banks, listed companies and small businesses. In addition, Iqbal is chair of trustees at a local youth-led charity focused on promoting art, culture and opportunity for young people in the city. He is also a committee member of the Midlands Asian Lawyers Association, which seeks to promote and improve diversity in the legal profession, as well as widening access to the profession as a whole. In 2019, the Birmingham Law Society short-listed Iqbal for the award of Barrister of the Year. Iqbal lives in Edgbaston and is uniquely known to support both of the city’s football teams. Jane is the Director of Business, Accounts & Law at Birmingham Metropolitan College and looks after provision. She has worked for the college since 2004 and has over 20 years’ education sector experience. Prior to joining BMet she spent 11 years working for Central Television within the corporate strategy department. She has a Master’s in Education and Professional Development and is a Fellow of the Institute for Learning (IFL) and The Institute of Leadership and Management (ILM). Outside of work, Jane is a season ticket holder at Aston Villa and spends as much time with her family as possible. 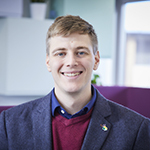 Sam has a wide range of experience gained in the Further and Higher Education, public, and voluntary sectors and has worked actively as a Diversity and Inclusion practitioner for the last 6 years, supporting organisations to advance equality, diversity and inclusion. She has worked as the Diversity and Inclusion Advisor at BMet since September 2017 and is passionate about the role Further Education can play in transforming lives. She has a Masters in Information Services Management, becoming a Chartered Librarian in 2006, reflecting a commitment to the value of lifelong learning and interest in social inclusion. Outside of BMet, Sam enjoys travelling with a backpack, walking the dogs, a focus on food and drink as well as consuming the odd box set. 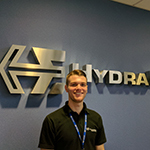 Dan is a student governor who is an apprentice with Hydraforce. He is on the second year of the Mechanical / Manufacturing Foundation Degree at the James Watt campus and he progressed onto the Foundation Degree after completing Level 2 and Level 3 qualifications at the college. Dan is also an ambassador for young apprentices throughout the Midlands, as part of the West Midlands Apprenticeship Ambassador Network (WMAAN), which helps young people to start their careers and mentors the company’s younger apprentices. In December, Dan won the 2018 UK Advanced Apprentice of the Year Award. Michael is studying on a Graphic Design Extended Diploma Level 3 course and is based at Matthew Boulton College. As a BMet student and a governor Michael thrives on learning and likes the fact that his role gives him the opportunity to help others. Michael has taken full advantage of college life, in his first year he got to experience life in industry, and had the chance to work closely with Amazon Web Services (AWS) and Comic Relief for a project to help raise awareness of the importance of good mental health. Last year Michael took part in another project with AWS and the charity on developing a solution within the digital space to engage even more 16-24 year olds with Comic Relief.